Here’s a look at some of the lithium juniors around the world and what they’ve been up to lately. 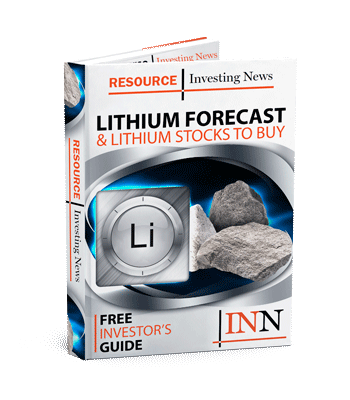 Beyond the major lithium producers, Albemarle (NYSE:ALB), Sociedad Quimica y Minera de Chile (NYSE:SQM) and FMC (NYSE:FMC), there are many smaller lithium companies looking to crack into the lithium space. While it’s tough to keep up with what every lithium junior is up to, below we’ve provided brief overviews of what a number of them have been doing as of the end of Q1 2017. Read on to learn more, and if we’ve missed a lithium junior you think should be mentioned, please let us know in the comments. Companies are listed in alphabetical order, and had market caps of over $10 million as of March 31, 2017. This list focuses on stocks listed on Canadian, US and Australian exchanges. Advantage Lithium and Orocobre (TSX:ORL) have a partnership under which they are advancing the Cauchari project in Argentina. On March 29, Advantage officially acquired a 50-percent stake in Cauchari, as well 100-percent stakes in five other lithium brine properties belonging to Orocobre. Advantage has the right to increase its interest in Cauchari to 75 percent. Aside from its work at Cauchari, Advantage has assets in Mexico and has drilled at lithium brines in Nevada’s Clayton Valley. Altura Mining holds a number of coal and lithium projects in Australia and Indonesia, including the Pilgangoora lithium project in Western Australia. It is located immediately south of a project with the same name that belongs to Pilbara Minerals (ASX:PLS). On March 14, the company said that its mining contractor has started bulk earthworks at the project. Altura believes it has a “clear pathway to production” in early 2018. Bacanora Minerals holds the Sonora lithium project, a clay-based project in Mexico. Bacanora has a joint venture agreement with London-listed Rare Earth Minerals (LSE:REM) over parts of the Sonora project. The company also owns the Magdalena borate project; it is in Mexico as well, and has the potential to help the company advance its lithium assets. Critical Elements is looking to advance its Rose lithium-tantalum project in Quebec. The company’s most recent news came in November 2016, when it reported high-grade lithium drill results at Lemare, another lithium project it holds in Quebec. Enertopia describes itself as being actively engaged in generating transformative change in methods for recovering lithium from brine solutions. It is partnered with Genesis Water Technologies, and is looking at evaluating the feasibility of employing water treatment technology to recover lithium from brine. In March, Enertopia said that lithium carbonate purity testing on four lithium carbonate samples produced by Genesis Water Technologies was underway. European Metals Holdings is advancing the Czech Republic-based Cinovec lithium-tin project. It is part of the historic Cinovec-Zinnwald Mining District, and over the last 600 years over 40,000 tonnes of tin have been extracted from the area. In February, the company upgraded the project’s indicated mineral resource, confirming its status as Europe’s largest lithium resource. Frontier Lithium is advancing the PAK lithium project in Ontario. Exploration work done between 2013 and 2016 shows the deposit could be a near-term supplier of high-purity, technical-grade lithium concentrate. In February, the company began technical drilling at PAK, and said it expects a prefeasibility study to be done before the end of May. International Lithium holds the Mariana lithium brine project in Argentina and the Avalonia hard-rock spodumene project in Ireland. It also has an interest in the Mavis lithium project in Canada, and has a partnership with China’s Ganfeng Lithium (SSE:002460). The company provided an update on Mavis in March, noting that its strategic partner, Pioneer Resources (ASX:PIO), has completed the first drill program at the project. Prior to that, International Lithium, along with Ganfeng, provided a resource estimate for Mariana. Li3 Energy’s main project is the Maricunga brine project in Chile, which covers approximately 1,888 hectares. The company holds a 49-percent interest in the project. In January, the company announced a merger under which it will be acquired by Bearing Resources (TSXV:BRZ). LiCo Energy Metals is focused on exploration of metals used for lithium-ion batteries, including cobalt. The company has projects spread across Canada, the US and Chile: three lithium and one cobalt. In January 2017, LicCo signed an agreement with Durus Copper Chile SPA, where LiCo can earn up to a 60 percent interest in the Purickuta Lithium Exploration Concession. Then in February, the company announced plans to begin an exploration program at the project. Formerly Western Lithium, Lithium Americas is developing the Cauchari-Olaroz brine deposit in Argentina with SQM. Lithium Americas is also developing a brine deposit in Nevada. In January 2017, Lithium Americas and Ganfeng Lithium signed an investment agreement under which Ganfeng will fund the advancement of Cauchari-Olaroz for $174 million. As part of the agreement, Ganfeng acquired 19.9 percent of the outstanding shares of Lithium Americas. In March, Lithium Americas provided the results of the first stage of a feasibility study for Cauchari-Olaroz. The company is in the midst of acquiring Lepidico (ASX:LPD). Lithium X Energy’s focus is on becoming a low-cost supplier for the lithium-ion battery market. Its main asset is the Sal de los Angeles project in Argentina’s “lithium triangle.” The property covers 8,156 hectares and contains high-grade brine — its previous operator invested about C$19 million into it. The company is also exploring the district-scale, 33,846-hectare Arizaro project. Midway through March, the company closed a bough-deal public offering for aggregate gross proceeds of C$15,010,000. Diversified resource company MGX Minerals is engaged in the development of large-scale industrial mineral portfolios in western Canada, and currently holds lithium, magnesium and silicon projects in both BC and Alberta. The company has a unique approach to sourcing lithium carbonate and other valuable minerals from the salt water that accompanies petroleum as it’s being pumped to the surface. This salt water is currently treated as a waste product, and MGX eventually hopes to integrate its extraction technique with existing environmental disposal systems in oil and gas fields. Currently it is working to integrate its system with PurLucid Treatment solutions’ technology, which separates impurities from oil industry waste streams to produce clean water as a final product. Millenial Lithium is focused on becoming one of Argentina’s next lithium producers. Its flagship project is the advanced-stage Pastos Grandes lithium project in the country’s Salta province. Its other projects include the Cauchari East and Cruz project, both of which are also located in Argentina. The company recently closed a private placement for proceeds of $5,937,500; it plans to put the money toward 43-101 resource drilling and general working capital. Nemaska Lithium is a near-term producer, and plans to supply the battery market. It is one of the only companies in the world looking to produce lithium hydroxide directly instead of from lithium carbonate. The company is developing its Whabouchi mine in Quebec, which is said to be the second-richest and largest lithium deposit in the world. The company announced in mid-March that it had produced up to 6.65 percent lithium oxide concentrate at Whabouchi. “With this concentrate production we have met another important milestone as we continue to de-risk our project,” said President and CEO Guy Bourassa. Neometals is focused on advancing the Mt Marion lithium project with its partner, Mineral Resources (ASX:MIN). The companies are also developing the Kalgoorlie lithium hydroxide facility. In March, they announced that the second shipment from Mt Marion, which clocked in at 16,662 tonnes, had been shipped to Ganfeng Lithium’s receiving facility in China. Nevada Sunrise Gold is focused on gold as well as lithium in Nevada. It holds three high-grade gold properties in addition to interests in six lithium properties covering a combined 20,000 acres within and adjacent to Clayton Valley. Advantage Lithium has the option to earn working interests in five of Nevada Sunrise’s lithium projects, and in March the two companies announced results from the first borehole at one of those properties. As noted, Pilbara Minerals is focused on advancing its Pilgangoora project in Western Australia with Lithium Australia. It also recently acquired a stake in the Mt Franciso project. According to a press release, the company can earn up to an 80-percent interest in the project through funding $1 million in exploration and completing a feasibility study. Pure Energy Minerals holds the Clayton Valley South project in Nevada. It plans to develop the project two stages. The first stage would involve pumping lithium brine to the surface, then extracting lithium, among other things, at a processing facility. The second stage would come after the commissioning of the first stage, and would include increasing the throughput of the processing facility by way of battery material and lithium waste streams. The company is currently looking to expand its portfolio in Argentina. In March, it closed its acquisition of a purchase option agreement on the Terra Cotta project. Pure Energy has also started technical evaluation and design for its exploration program for the first half of 2017. Wealth Minerals is focused on acquiring lithium projects in South America, and one of its main assets is the Atacama project in Chile. The company also holds the Trinity project, which is a consolidation of projects on three separate salars within close proximity to each in northern Chile: the Aguas Caleintes Norte, Pujsa and Quisquiro salars. As mentioned, the companies listed above all had market caps above $10 million as of March 31, 2017. But there are many lithium juniors with market caps under that amount that are worth watching. Some of those companies include: Alset Energy (TSXV:ION), Cypress Development (TSXV:CYP), Evolving Gold (CSE:EVG,OTCMKTS:EVOGF), Eureka Resources (TSXV:EUK), Iconic Minerals (TSXV:ICM,OTCMKTS:BVTEF), Kairos Capital (TSXV:KRS), Macarthur Minerals (TSXV:MMS), Nevada Energy Metals (TSXV:BFF,OTCMKTS:SSLMF), Noram Ventures (TSXV:NRM,OTCBB:NRVTF), NRG Metals (TSXV:NGZ,OTCMKTS:GPOFF), Sienna Resources (TSXV:SIE,OTCBB:SNNAF) and Stria Lithium (TSXV:SRA). Galaxy Resources (ASX:GXY,OTCMKTS:GALXF) and Orocobre (TSX:ORL,ASX:ORE,OTCMKTS:OROCF) are examples of lithium companies that have recently begun production. Editorial Disclosure: Advantage Lithium, Alset Energy, Critical Elements, Cypress Development, Dajin Resources, Evolving Gold, Frontier Lithium, Galaxy Resources, LiCo Energy Metals, Lithium Australia, Macarthur Minerals, MGX Minerals, Nemaska Lithium, Nevada Energy Metals, Noram Ventures, Sienna Resources and Stria Lithium are clients of the Investing News Network. This article is not paid-for content. Didn’t see anything about Altura Mining Limited (AJM.AX) or Pilbara Minerals Limited (PLS.AX) in here. Both junior hard rock explorers. Thanks! They have been added. Why do you not include OROCOBRE in your list of lithium stocks? Thanks for commenting — Orocobre is actually on the list! Other than the first three Lithium companies mentioned, the rest of your article seems to disclose who bought into whom, so and so bought out someone. I am a bottom line guy “just the facts Mamm”. The facts are that your articles do not show the number of tons of product each of these other companies are producing. Production equates into cash earned. Nothing in your articles indicate which of these junior minors are actually making money. My interests is money. As you well know, juniors can stay juniors almost forever unless someone buys them up, Which juniors are actually making money from their properties resources? Without that information, I cant make a decision as to where I want to place my bet. Maybe your future articles can provide information towards that end. Thanks very much for the comment, we appreciate the feedback. In future updates to this article we may be able to provide a more in-depth look at the companies covered. I think you meant to place MGX in the over 10 million cap list. Great information and thank you for compiling that list with links and a brief summary for each company. Well done. Thanks for catching that! We have moved MGX Minerals to the over $10-million section. There is this Lithium mining company in Australia known as Alliance Mineral Assets Limited, listed in Singapore Stock exchange, was no where in your report. To keep this list at a manageable size we are focusing on companies listed on Canadian, US and Australian exchanges. I will add a note to the beginning of the article to make that clear. Thank you for the tip though! We will keep an eye on Alliance Mineral Assets. European Metal Holdings? (EMH, listed on AIM, Frankfurt and ASX). Massive Lithium resource bang in the middle of the emerging European electric car and battery manufacturing zone, and one of the largest lithium resources in the world. Ah sorry. I see you do mention them. But why not a main listing? Thanks for the comment! We’ve added a main listing for European Metals Holdings. What about Avalon Advanced Materials (AVL.TO) in Ontario, Canada? They have the world’s largest lithium petalite / lepidolite high purity deposit and are ready to build a pilot plant. They have a LOI agreement with Lepidico (Australia) to supply 15,000 tonnes per year to their soon-to-be built processing facility. Can’t believe you didn’t mention either of these companies. No mention of Argosy Minerals, ASX: AGY, Lithium Brine in Argentina, Production early 2018.